This story tackles the familiar feeling of being in someone's shadow—in a hilarious and endearing way. 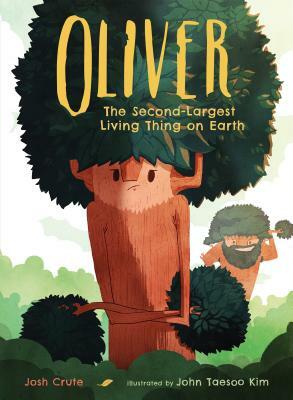 Readers will be able to relate to Oliver as he stretches his limbs in winter, lifts logs in spring, soaks up the sun in summer, and munches on mulch in autumn, trying to grow big enough to be noticed. Set in Sequoia National Forest, this story will appeal to national park visitors as well as kids who love nature and clever humor. The bright and playful art brings the giant sequoias to life, and the interactions between the trees and furry forest buddies add subtle—and sometimes not-so-subtle—humor. Readers will want to join in on the fun and visit Oliver, Sherman, and all their friends in Sequoia National Forest. Josh Crute is a debut children’s book author. He works in the children’s department at Vroman’s Bookstore in Pasadena, CA. He graduated with a BA in English before receiving his MFA in Film Production from Florida State University. He lives in the Los Angeles area. John Taesoo Kim is a debut illustrator. He holds a BFA in Illustrations from the Maryland Institute College of Art. A resident of the Washington, DC, area, he creates character and background art for a tech training company.